Defense attorneys in Okaloosa County who have more than 72 years of combined legal experience. If you or a loved one has been charged with DUI or another crime, don’t hesitate to contact the accomplished legal team at Dewrell & Herndon. With more than 72 years of combined legal experience, our criminal defense attorneys can provide you with experienced and insightful representation. Our lawyers have been recognized for their ability to provide skilled and reliable legal services for those who have been accused of a crime. We can help you pursue the best possible outcome for your particular situation while defending your constitutional rights. 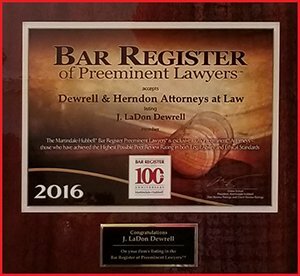 At Dewrell & Herndon, our legal team has been recognized by many associations for the level of representation we provide to our clients. 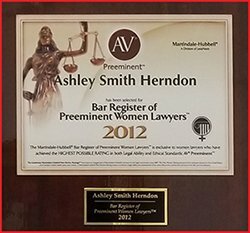 With both of our named partners being AV-rated, we have achieved a rare distinction thanks to our commitment to serving our clients with detailed and focused legal services. 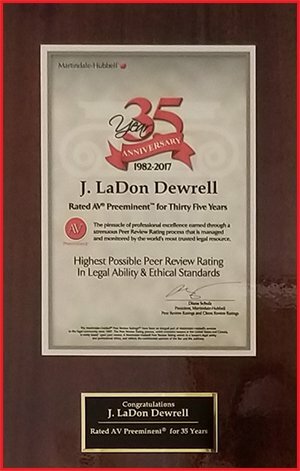 We are very proud of the reputation we have earned by representing our clients in litigation. You can put our experienced, award-winning legal team on your side if you have been accused of a crime. 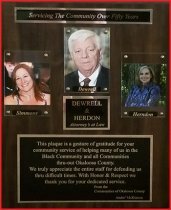 At Dewrell & Herndon, our attorneys are very experienced and can provide you with personalized representation. Being accused of a crime can be a scary scenario for you and your family. Let our team fight for your rights and provide skilled representation. Our legal team can provide you with skilled legal counsel and help answer your questions. Our team here at Dewrell & Herndon is committed to providing our clients with the information they need to pursue a fair trial and the best possible outcome for their situation. We are proud to have helped many clients receive reliable and compassionate legal counsel. It is a good decision to contact the legal team at Dewrell & Herndon as soon as you can. We can provide you with a free initial consultation and review the circumstances of your case. Can I Resolve a DUI Charge Outside of The Court? If you have been charged with a felony DUI, it is a state law that the charges cannot be settled unless you appear in the Court. However, if you live out of town or out of state, our firm will seek to waive your appearance at all court dates until your physical presence at a court appearance is required. If you have been charged with misdemeanor DUI, you could settle the matter without personally appearing. Are There Actually Defense Strategies for DUI Cases? Yes. There is a wide range of defense strategies that can be used to defend someone accused of driving under the influence. Our legal team can meet with you and determine the circumstances around your arrest and see which defense options might be applicable. With more than 65 years of combined legal experience, our attorneys can provide you with knowledgeable representation. 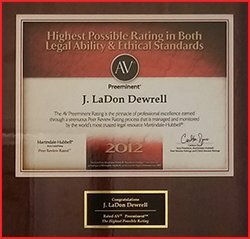 Each of our partners has been AV rated for multiple years. This means we have provided high-quality legal counsel. Our partners have handled thousands of cases, each trying over 80 trials to verdict. This level of professional experience is rare for many law firms. We understand how stressful this time can be for you and your family. That's why we are focused on obtaining the best result in each case.